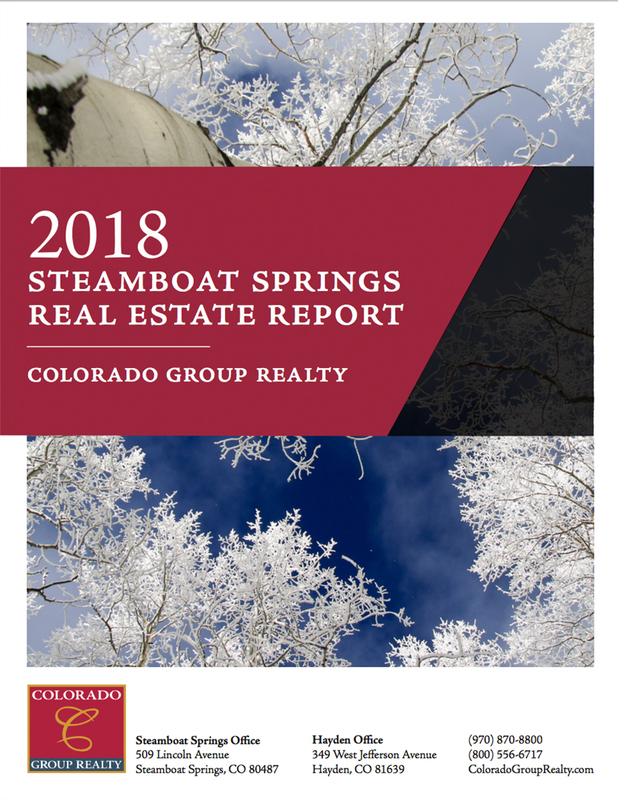 2018 was a record year for the Steamboat Springs real estate market: total sales volume of $616M is the most volume that Steamboat has ever seen, surpassing last year’s $559M by 10%. With the stock market nishing down more than 5% in 2018, real estate in Steamboat was a safe haven investment. Single family homes appreciated 10.3% to a median sales price of $815K, while condos/townhomes increased 7.6% in value to a median sales price of $396K. We started the year with low inventory, so this appreciation isn’t surprising. Lack of inventory, especially under $1M, remained the market’s biggest challenge in 2018. With the end of 2018, we are seeing indications that the market may be returning to a more balanced state. In fact, we have six months of inventory supply, which represents a nearly perfect buyer/seller balance. In the last few years, lack of inventory across nearly all categories and areas has led to signi cant appreciations. Even with rising mortgage rates and a more unsettled economy, Steamboat remains a desirable place to own. e new multi-mountain Ikon pass, which includes Steamboat Resort as one of its destinations, is driving new visitors to town; those visitors often become potential buyers. For 2019, expect Steamboat to continue to be a seller’s market for homes under $1M and a buyer’s market in the luxury segment above $2.5M. A special thanks to our amazing clients who helped make this year Colorado Group Realty’s biggest year in our 22 year history; it was a pleasure serving you!